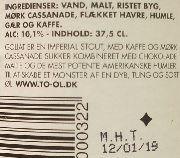 Brewer Description: (from To Øl webshop) The great warrior of Gath. The mighty champion of the Philistines. Embedded in ancient folklore and religion. Coming from the World of Old. His size and stature is not human. He is bigger. The armor of Goliat is black. Creamy black lacings. Stands with a towering height. He can grab elements from both earth and heaven. Earthy, roasted, notes from the earth. Warming, pungent, sweet notes from the skies. His heart is beating slowly, almost endlessly slow. This man is thought to be invincible! Intro: A 375ml bottle with a best before date of 12th January 2019. Poured into a snifter glass. Appearance: A dark brown to black colour with a one finger puffy brown head that had pretty good retention and left some small spotty lacing. 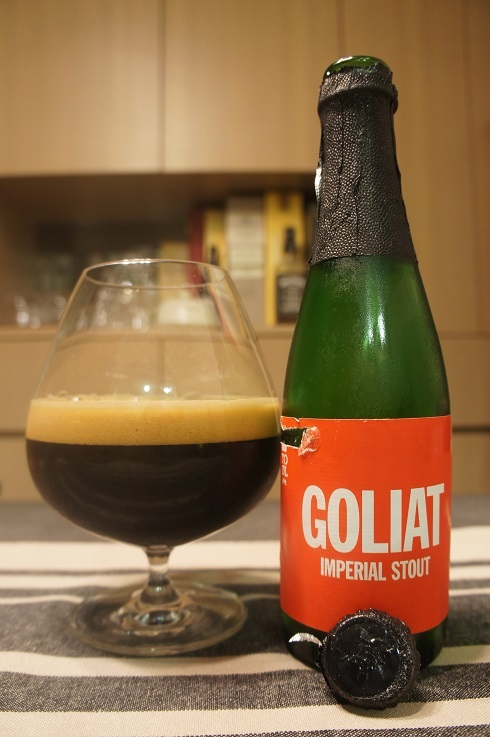 Aroma: Coffee, chocolate with light herbal, hops and booze at the end. Taste: Light roasted malts, coffee and chocolate with light earthy and herbal hop tones late on. 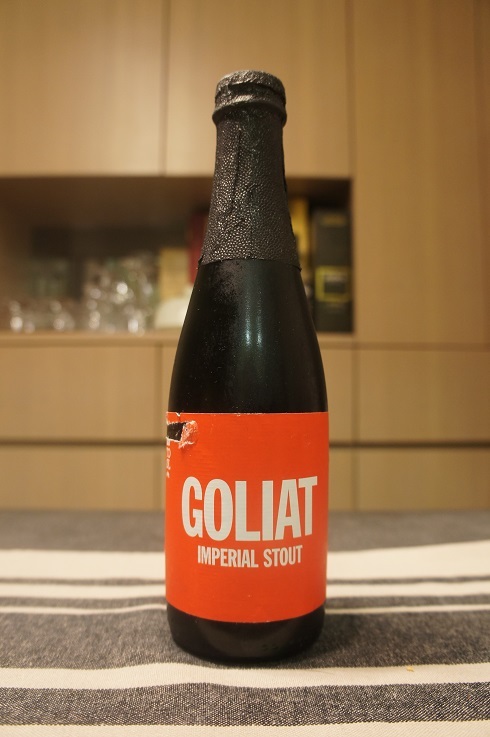 Overall: The earthy and herbal element on the finish in both aroma and taste was maybe a bit too much for me, but otherwise, it was still quite good.